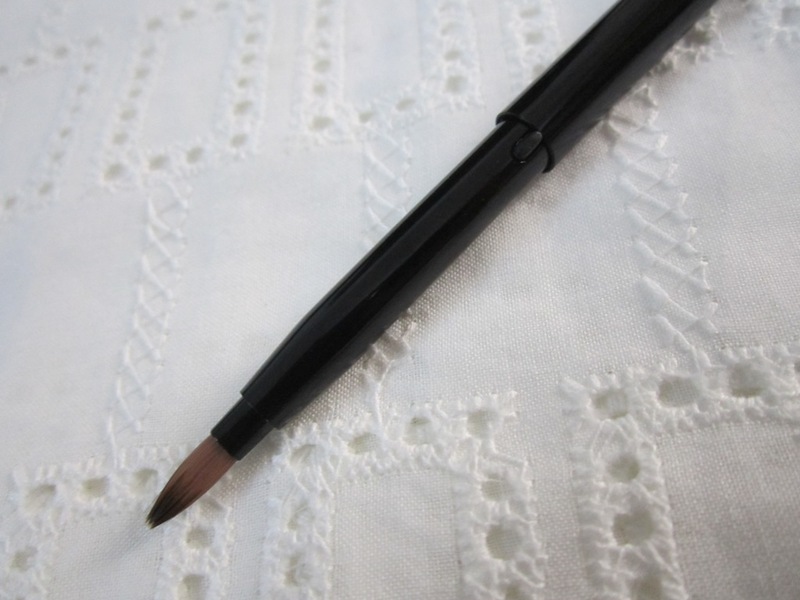 ABOUT:Define your lash line with one, quick easy stroke with our precision eyeliner brush. 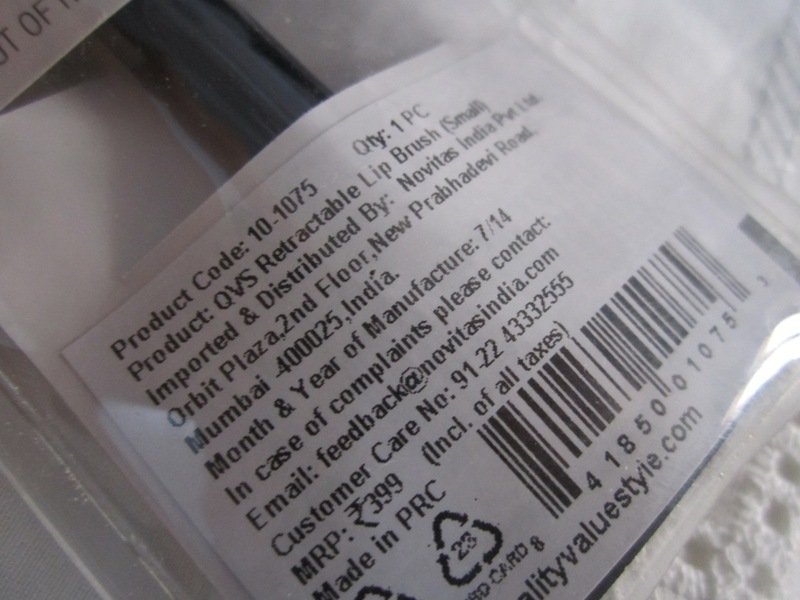 The tip has been ergonomically designed to arch toward your eye, making application easier. 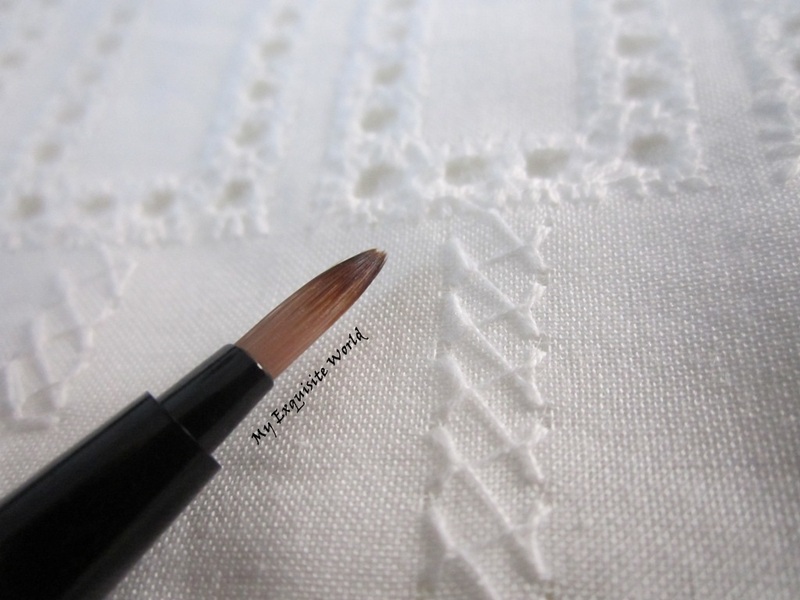 The soft synthetic bristles are perfect for liquid, gel and paste eyeliner. 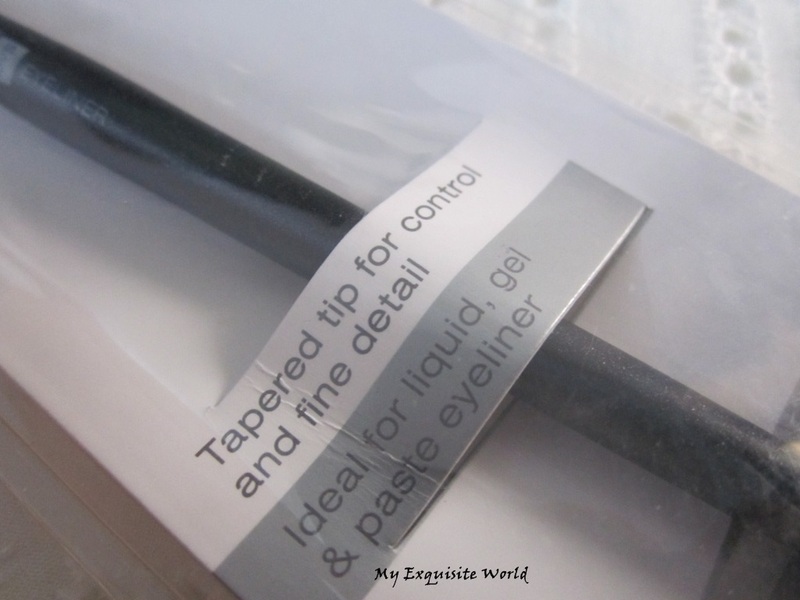 PACKAGING:The packaging is similar to other QVS brushes that come in a plastic pouch.This brush has a black plastic body that looks really good and elegant.It is easy to store and is travel friendly.The tip of the brush is secured in a plastic cap which can come off easily. MY VIEWS:After trying 2 Brushes from QVS ,i bought this brush for using it for lining the eyes.I have gel liners but the brushes that comes along are of no use so I went ahead to try an eyeliner brush from this brand.The brush has a thick tip but the bristles are very fine and firmly packed together.It is easy to handle and use.However,this brush is more helpful when you want a thick line across the eyes. 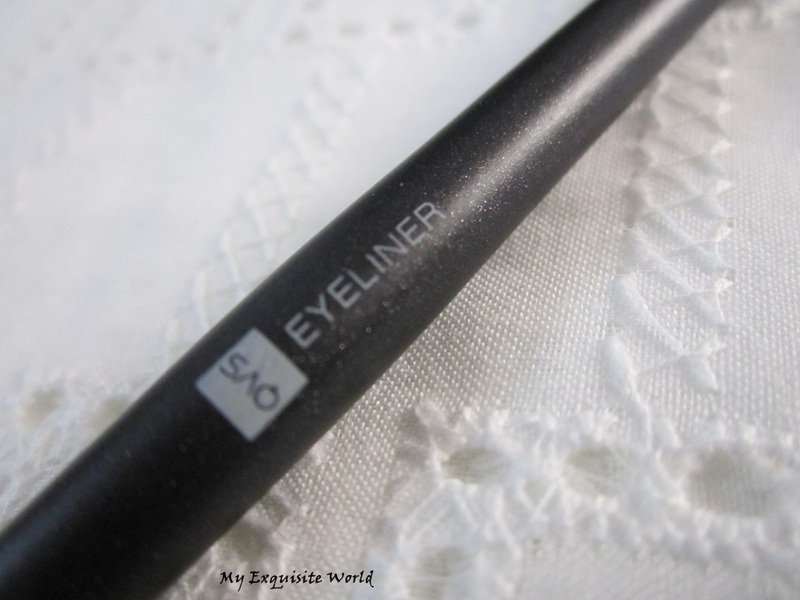 There are times when I need a thin line of eyeliner for a no makeup look but this brush is mainly useful for thick winged liners or a thick line as the tip is quite dense and thick.However,it is a good liner brush for beginners as it will help then to gain control over precise application.The bristles are soft and non-abrasive.It is easy to clean with a mild cleanser. 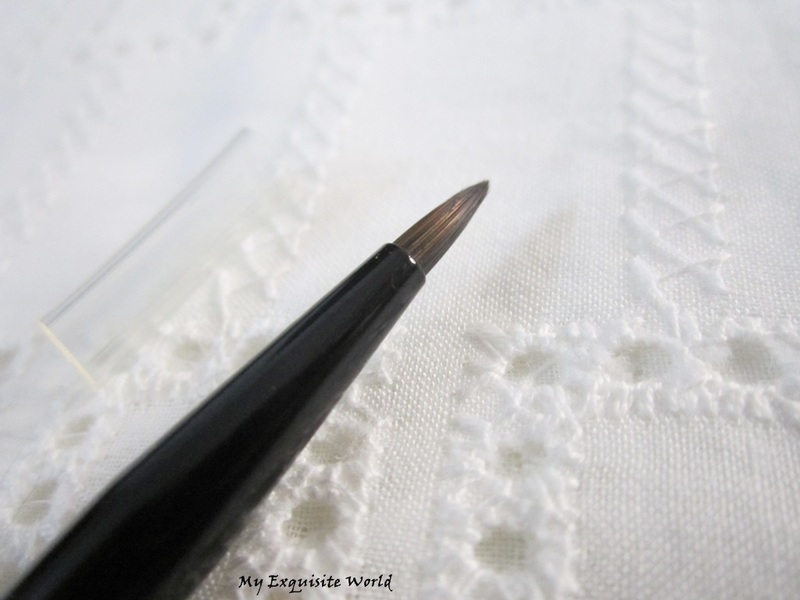 RECOMMENDATION:I find this to be a decent brush but not very useful if you want a thin liner look.However,the bristles are good and this is a great brush for beginners. ABOUT:Our retractable lip brush has soft synthetic bristles that allow smooth application for perfectly plump lips in your favorite lip colour or gloss. 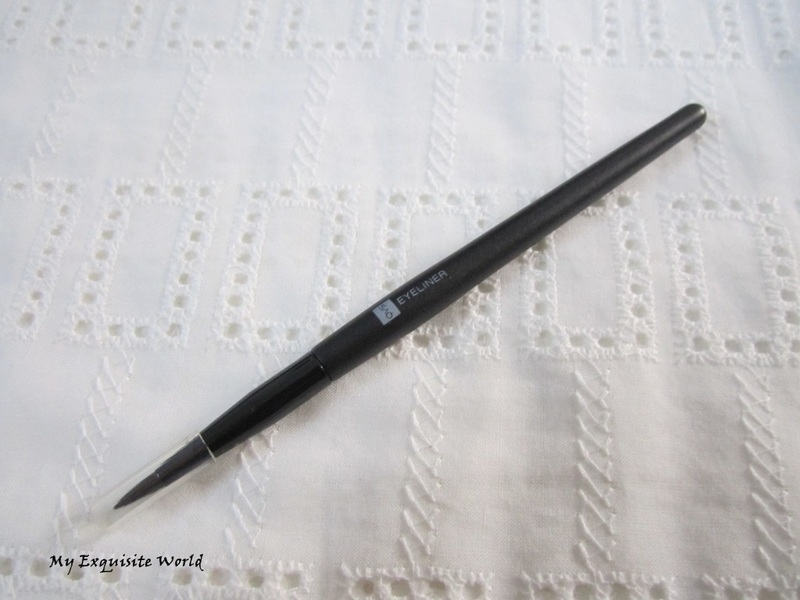 The retractable case protects the brush tip safely, allowing it to be both versatile and portable. PACKAGING:This brush comes in a pouch. 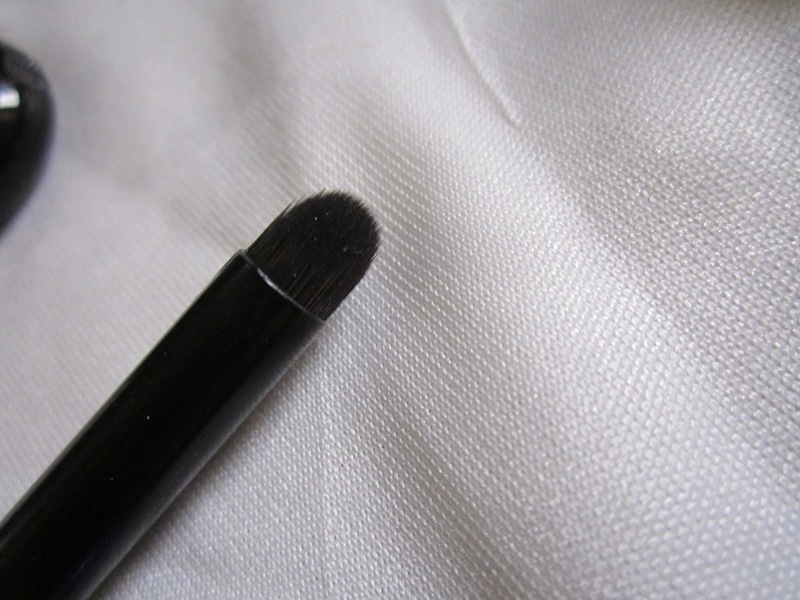 The brush has a shiny black metal body, which looks classy. 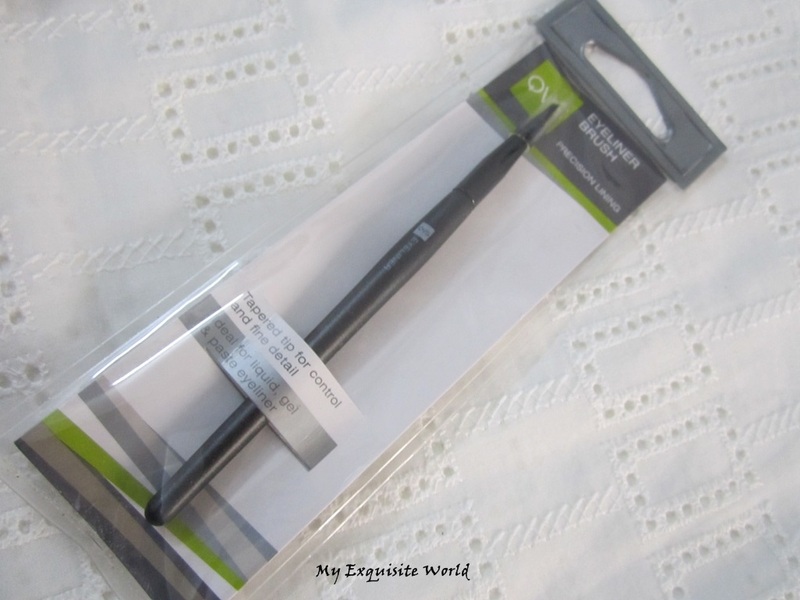 This brush is travel friendly and I love its sleek packaging.The lower part of the brush can be taken out to close the brush which I find very useful as it definitely helps in keeping the brush clean.Also,there is a small click that enables to close the tip inside. MY VIEWS:I am not a person who uses Lip Brushes as I like applying lipstick directly from the bullet but there are some lipsticks that need to be lined specially darker shades like deep reds,burgundy,purple.So,I zeroed on this brush as it is reasonably priced and easy to carry.Th brush has soft bristles that are tightly packed together for precise application.I find it great for lining my lips as the tip isn’t too thin that I have to dip the brush again and again in the lipstick nor very thick that it doesn’t provide crisp line. It is easy to clean also and the hair don’t shed.Also,it is very helpful in filling the lips since the size is great. 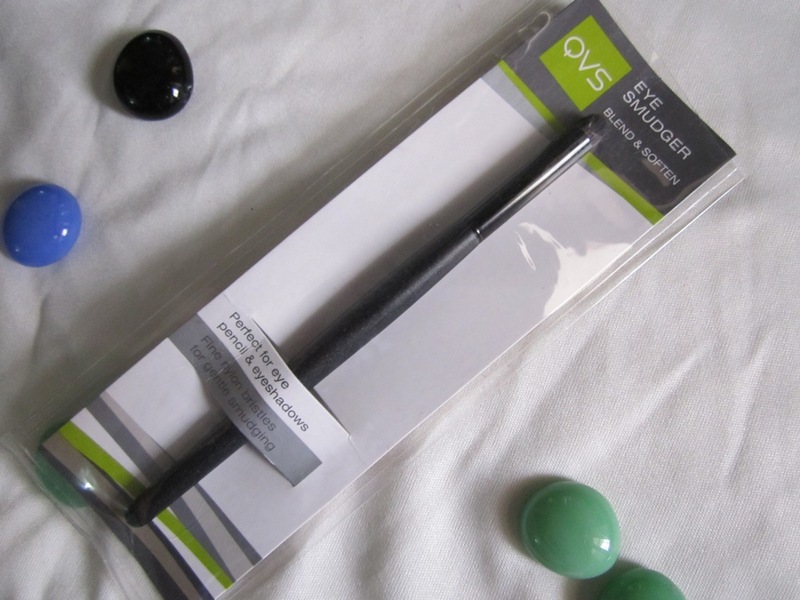 RECOMMENDATION:This is the second brush that I have used from QVS and I am amazed by the quality and use of the brushes.This brush is very easy to use and the best part is that it is travel friendly since I can throw it in my handbag without any fear of it becoming dirty or it messing up the bag.If you are on a lookout for some nice lip brush then do checkout this one. 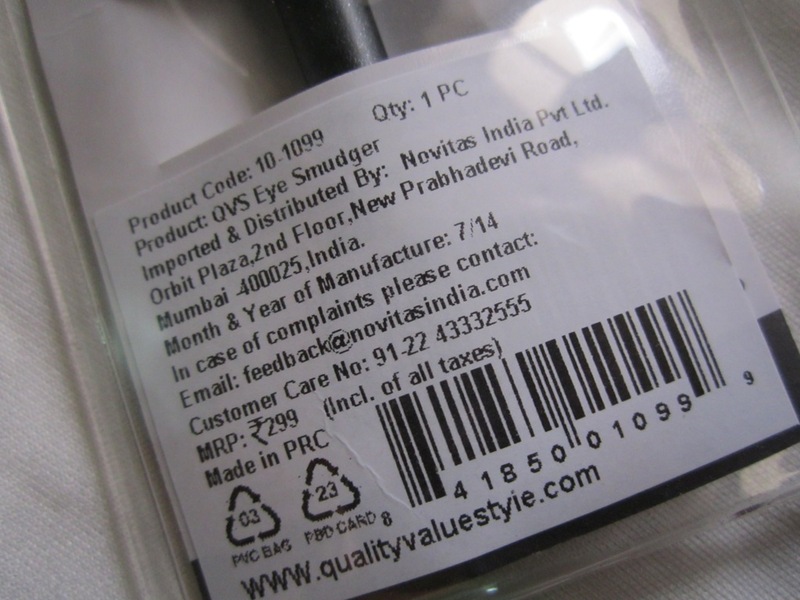 QVS are the experts in cosmetic tools. 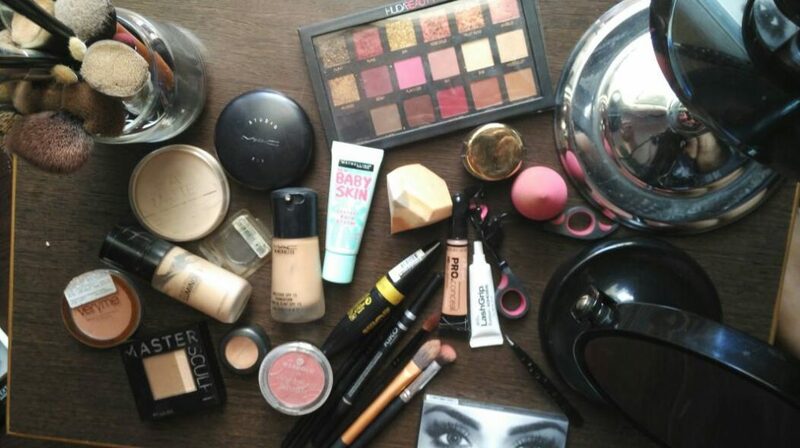 From brushes to brows, flawless faces to fabulous fingernails, QVS has products to suit every application. 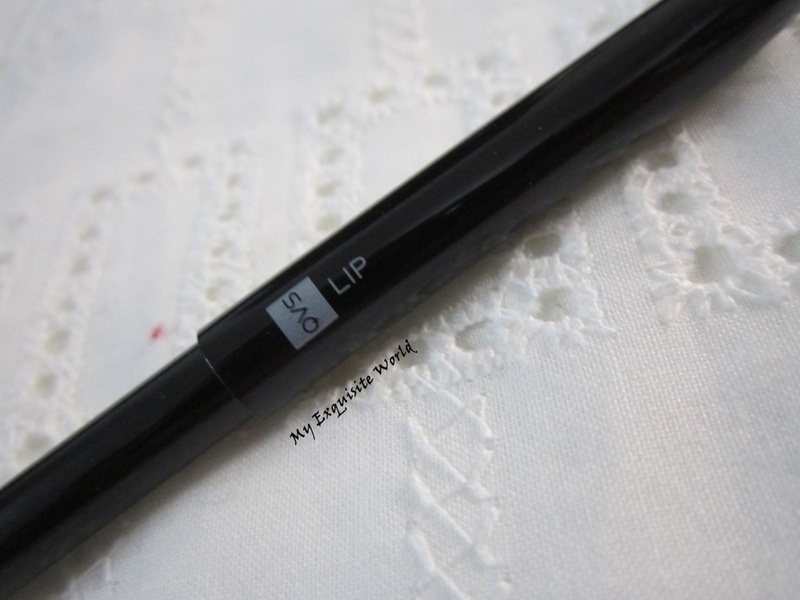 QVS Retractable Lip Brush gives perfect shape to your lips and makes you look beautiful. 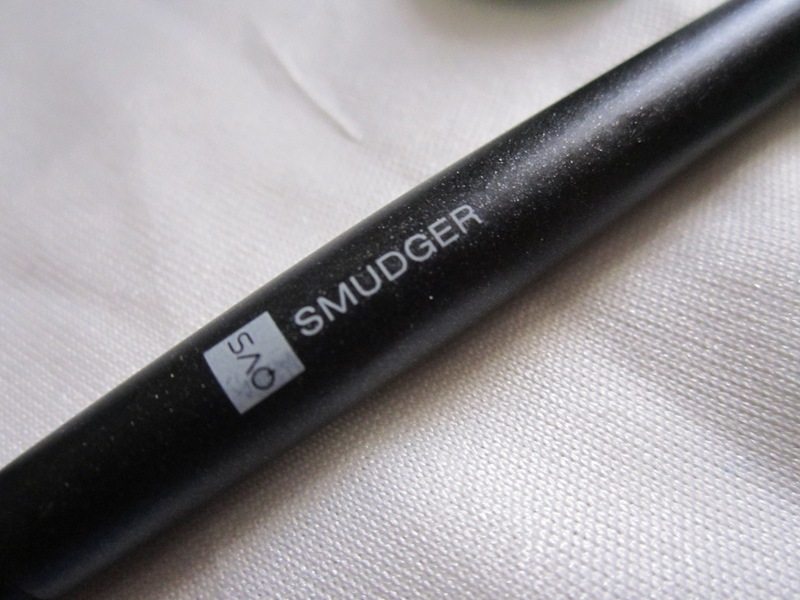 ABOUT:QVS Eye Smudger is specially designed to give your eyes desired makeup look. A smokey eye look or blending different eye shadows is lot easier now. A long handle allows perfect grip to hold. Soft and dense bristles does not harm you. 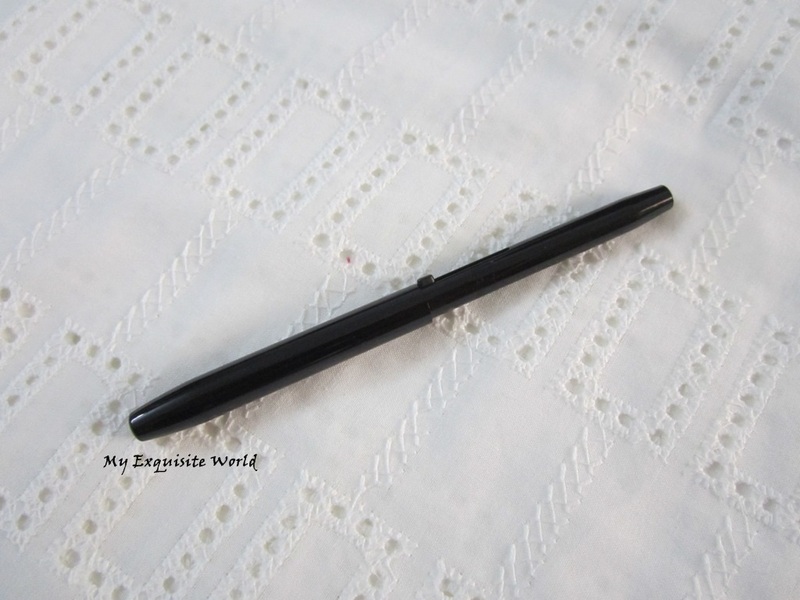 It sports a bevelled tip, made from fine textured sponge. 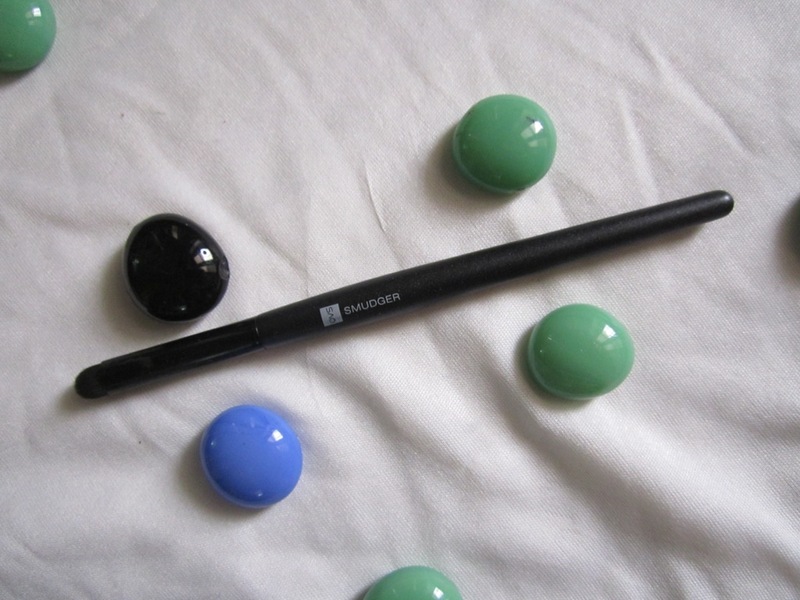 PACKAGING:The brush comes in a transparent cover that has to be cut to get the brush out.It has a cardboard.The brush itself has a matte black handle and very smooth bristles that are short and adjusted in round shape. 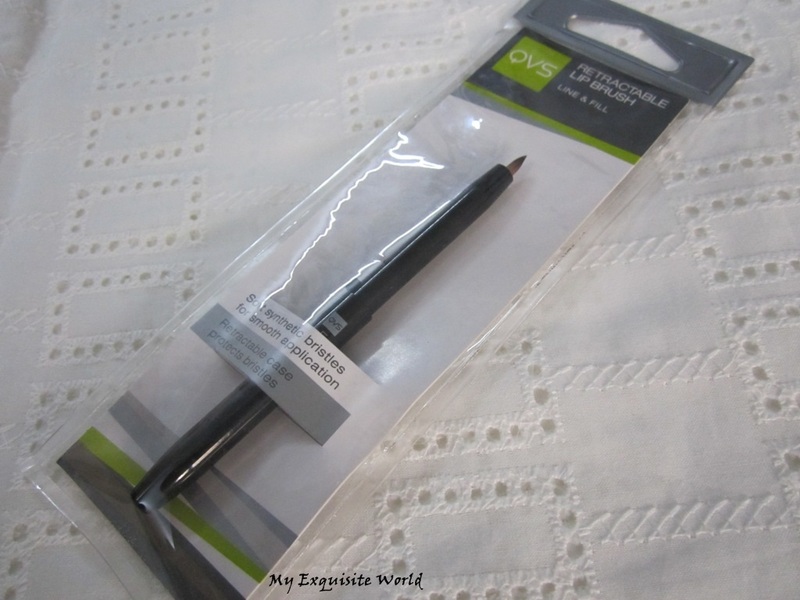 MY VIEWS:I bought this brush as I have always liked QVS brushes since they look neat and I like the quality of the bristles.I really like this brush.It comes handy not only for smudging for also for blending the edges and softening the harsh lines.The round bristles help in easy smudging as well as blending. 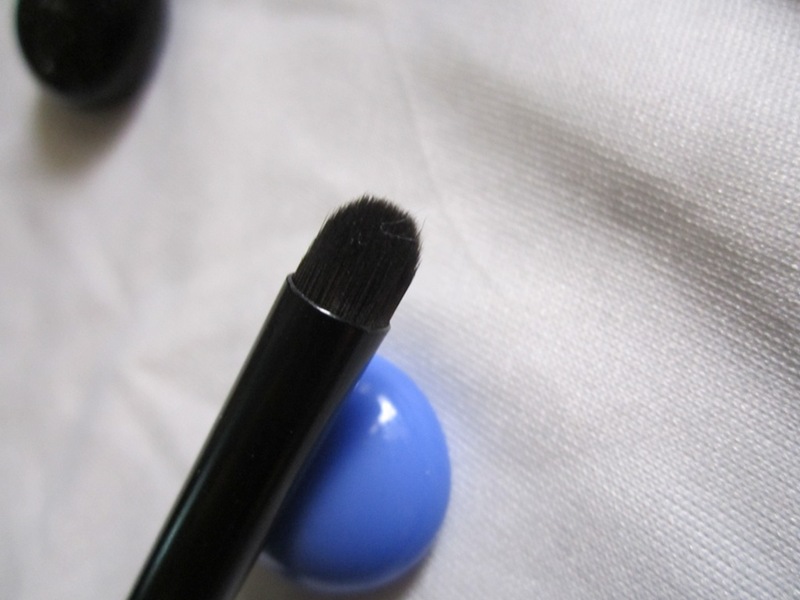 Being short,they are easy to keep control on and works fine with smudging kajal as well as shadows.I really like the clean look of the brush.It is easy to clean.It doesn’t even shed hair. RECOMMENDATION:I highly recommend checking this out.It is easy to use,reasonably priced and works really well.